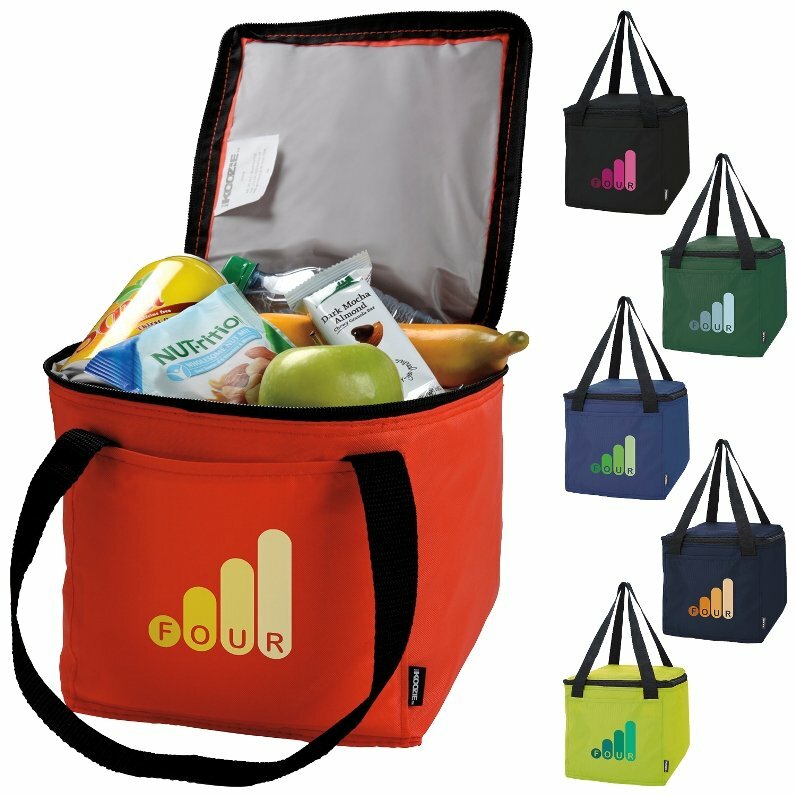 Get your logo on Koozie Square Six Pack Cooler Bags promotional coolers. In addition this cooler is highly adaptable to juicers and craft drink mixes. Package juices, health drinks or tall bottles for resale in this cooler bag. Overall size is 8 w x 8 h x 8 deep. 6 Cooler Colors are available. Colors: Red, Black, Hunter Green, Royal, Navy, Lime Green. You MUST order this cooler in lots of 50 units over the min. Rush Production no extra charge w/ a one color imprint. Price includes a one color imprint on front in area 4" w x 4" h.